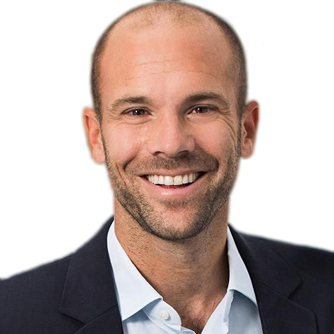 Brian Kuhn is the Founder and Global Co-Leader of the Cognitive Legal business at IBM and inventor of the IBM Outside Counsel Insights solution. As a former practicing financial services attorney, Brian is responsible for defining and growing the Cognitive Legal brand worldwide. Brian is also responsible for defining the intersection of legal artificial intelligence and blockchain for law for IBM. In 2017, Brian became an Advisory Board Member for Integra Ledger, and became a pioneering member of the Global Legal Blockchain Consortium and the MIT Legal Forum for AI & Blockchain. Brian speaks frequently at legal industry events in North America, Europe and Asia. He has lead over 119 workshops with legal clients to help define where cognitive capabilities intersect with clients’ needs. John is a renowned legal industry futurist. He focuses on reshaping the delivery of legal services to suit a future demanding excellence far beyond substantive legal skills. For sixteen years, John served as Bryan Cave LLP's Strategic Innovation Partner, where he led the firm to become one of the most innovative law firms in the world. At Bryan Cave, John created one of the first Practice Economics consulting groups, one of the first law firm departments focused on developing client facing technology and one of the first in-firm legal process outsourcing (LPO) organizations. John received a number of awards, both in the legal field and in information technology generally. He received ILTA's first ever Premiership Award, American Lawyer Media’s first ever Champion of Technology award, a Lifetime Achievement Award by Law Technology News, and was recognized as one of the Top 25 CTOs in the world by Infoworld. In addition, while under his leadership, Bryan Cave received recognition as a CIO Magazine Top 100 Company and was twice recognized as ILTA’s Most Innovative Firm. Robert Ambrogi is a lawyer and journalist who has been writing and speaking about legal technology and the Internet for more than two decades. 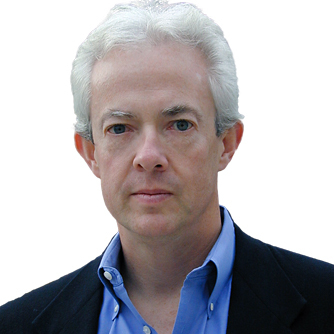 He is also the publisher and editor-in-chief of LexBlog.com. He writes the award-winning blog LawSites, is a columnist for Above the Law, and cohosts the longest-running legal podcast, Lawyer2Lawyer, as well as the podcast Law Technology Now. In 2011, Bob was named to the inaugural Fastcase 50, honoring “the law’s smartest, most courageous innovators, techies, visionaries and leaders.” In 2017, he received the Yankee Quill award for journalism from the Academy of New England Journalists and was honored by the ABA Journal as a Legal Rebels Trailblazer. Earlier in his career, he was editor-in-chief of The National Law Journal and editorial director of American Lawyer Media’s Litigation Services Division. Optimism, adaptability, and persistence. These are the traits that define Kim Craig's career. In the 35 years since Kim first joined Seyfarth Shaw, the legal industry around her has changed drastically and she has embraced that change. A longtime advocate for systemic improvements to the firm's operations, Kim was part of the firm's initial exploration of Lean Six Sigma in 2005. Today, Kim is former Managing Director of Lean Solutions for SeyfarthLean Consulting. In the intervening years, hers has been the mission of changing hearts and minds. Working side by side with Seyfarth legal teams to deliver greater value and better client experiences, Kim has pioneered the integration of legal project management and legal process improvement into the practice of law. Along the way, she has been a guide, instigator, and co-conspirator to many a lawyer looking for a better way. Kim leaded SLC’s Client Services practice, comprised of one of the first and most mature teams of client-facing legal project managers and process improvement consultants. With emphasis on service model innovation and delivery optimization, Kim’s focus is on driving continuing advances in how legal teams work, for enhanced value, better outcomes, and greater client experiences. 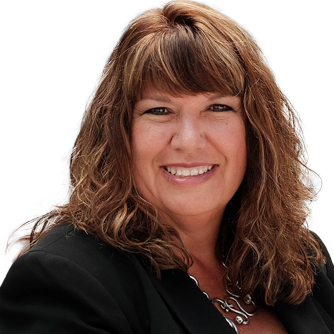 Kim is a Certified Project Management Professional, Lean Six Sigma Blackbelt and Certified Scrum Master. David is the founder and CEO of Integra, Inc., which is the developer of the Integra Ledger “Blockchain for Law”. He is also one of the founders of the recently announced Global Legal Blockchain Consortium, which is a legal industry group focused on standards and governance for the use of blockchain technology in the legal industry. The GLBC is composed of major law firms, corporate legal departments, software companies, and universities. Prior to founding Integra, David was the founder and CEO of Privātim, which was a secure communication and collaboration technology platform for law firms and clients. Earlier in his career, he was the founder and CEO of Millennium Venture Group, which was a national commercial real estate finance and development platform. David is a former chairman of the board of Youthbiz, a Denver-based non-profit focused on business education for inner city youth. He is a graduate of Rice University and Harvard Business School and resides in Colorado with his wife and two children. 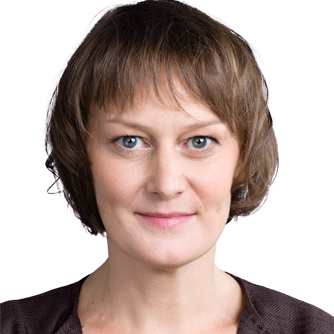 Andrea Miskolczi is the chief business development and marketing officer at Wolf Theiss. Her extensive international experience in the legal market ranges from legal advisory experience at Linklaters to devising market-leading business development and marketing strategies at Wolf Theiss. Andrea has a proven track record in planning and directing business development programs to boost client growth and attract new mandates. She manages the firm's CRM and marketing activities as well as public relations efforts, enhancing the Wolf Theiss brand identity. With a background in project management, Andrea is skilled at driving large-scale cross-border organizational development projects that have been recognized by The Financial Times Innovative Lawyer Awards among others. For instance, she developed and implemented the Wolf Theiss School of Excellence, a firm-wide cohesive, standardized training program, and launched the firm's knowledge management initiative to foster "smart collaboration". She is passionate about having a strategic approach towards fostering innovation and is an alumnus of a Harvard Business School course on this topic ("Disruptive Strategy with Clayton Christensen"). David L. Yermack is the Albert Fingerhut Professor of Finance and Business Transformation at New York University Stern School of Business. He serves as Chairman of the Finance Department and Director of the NYU Pollack Center for Law and Business. Professor Yermack teaches joint MBA - Law School courses in Restructuring Firms & Industries and Bitcoin & Cryptocurrencies, as well as PhD research courses in corporate governance, executive compensation, and distress and restructuring. Professor Yermack has been with NYU Stern since 1994. His primary research areas include boards of directors, executive compensation, and corporate finance. Professor Yermack has published more than 25 articles in leading academic journals in Finance, Accounting, Economics, and Law. Susan is a founding Principal at LawVision Group and is recognized as one of the top leadership, practice group and project management consultants for law firms. 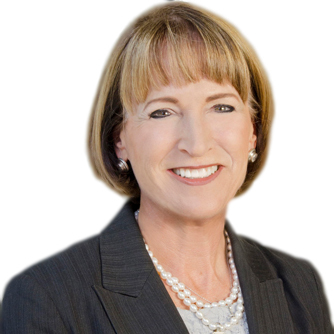 For over 25 years, she has helped law firms of all sizes improve their profitability and enhance their lawyers’ leadership and management skills. Susan is the Chair and Founder of the LPM Institute, the leading resource for educating law firms and law departments on implementing project management in their organizations. Prior to co-founding LawVision, she was with Hildebrandt International for almost 20 years, where, in addition to her consulting work, she chaired many of their conferences and led several of the most successful roundtables for law firm professionals. Prior to that, Susan spent almost seven years with Altman & Weil. She is also the author or co-author of six leading books on practice group management and legal project management. Karl is an expert in the application of data science to the practice of law. He specializes in counting and summing legal things, running operations over those counts and sums, building models to forecast future legal things, and designing visual interfaces for consuming the insight that results. Drawing on his distinctive skillset, he has advised global law firms and large, multinational corporate legal departments at both the strategic level and through discrete data analytics and visualization projects. Karl is currently the Manager of Legal Analytics at LexPredict, a leading legal data science consulting and technology company. Prior to joining LexPredict, Karl held central roles at Janders Dean, Seyfarth Shaw, and SeyfarthLean Consulting. He led client-facing analytics teams, worked with partners and clients to track the delivery of legal services, to forecast matter outcomes, and to pinpoint factors that impact the risk and volume of matters. David has been a practicing lawyer for more than 19 years, and is PMP certified through PMI, in addition to being certified in the Toyota Manufacturing Production System (Lean). As a certified project manager through the Project Management Institute (PMP®), David leads a team of attorneys and project managers to implement project management for Baker Donelson clients, in-house corporate legal departments and disaster recovery programs. He was responsible for the development of the Firm's patent pending legal project management model – BakerManage®, the Firm's Lean model – BakerLean™ and the Firm's proprietary budgeting tool – Budget Designer™. David also assisted with the launch of the Firm's consulting affiliate, LegalShift, LLC and serves on the Firm's Board of Directors. He provides consulting services for in-house legal departments by applying some of the same innovations he helped develop at Baker Donelson. Shruti is the Head of Fuse, Allen & Overy’s tech innovation space which opened in September 2017. The philosophy behind Fuse is to identify legaltech, regtech and dealtech companies which are relevant to A&O lawyers and their clients and to find ways to connect them and enable them to find ways of working together. 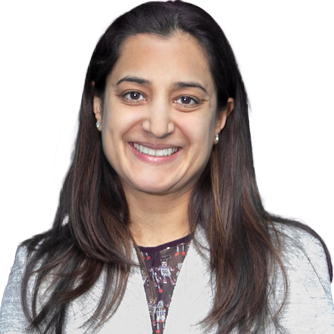 Prior to launching Fuse, Shruti was a Counsel in the Derivatives and Structured Finance group based in London, specialising in credit derivatives (involving drafting almost all of the standard documentation in this area over the last decade). Outside of Allen & Overy, Shruti has three children (aged 7, 5, and 2) and used her most recent maternity leave to undertake the FT Diploma in Non-Executive Directorships and a 3 month course for entrepreneurs at Google Campus. She is a governor at the Haberdashers' Aske's School in Elstree and also manages a sector- agnostic portfolio of private investments. 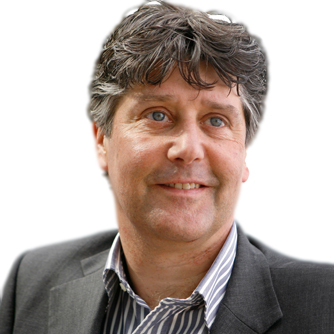 Patrick has been in the legal knowledge management industry since 2005. He is Chief Knowledge Officer at Ogletree, an Am Law 100 firm with more than 850 attorneys in 52 offices. 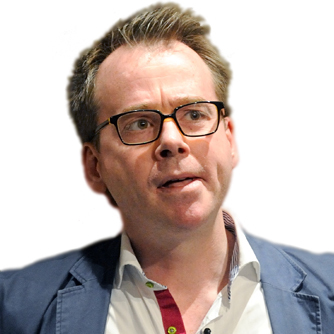 He has also held knowledge management positions at Gibbons, P.C. and Debevoise & Plimpton, LLP. Before his knowledge management career, Patrick was a practicing litigation attorney for more than eight years. 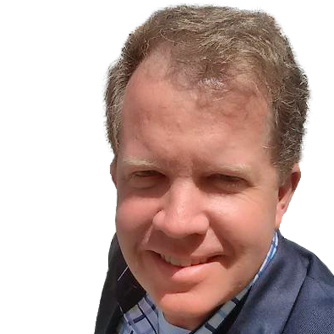 Patrick has volunteered as a member of several ILTA Committees and in his spare time he publishes the LawyerKM blog, tweets as @LawyerKM, and manages the LinkedIn groups Knowledge Management for Legal Professionals and Legal Project Management, both of which he founded. He is a frequent speaker on KM and legal technology topics and recipient of the ILTA KM Professional of the Year Award. Patrick is the author of the book Knowledge Management for Lawyers, published by the American Bar Association. Hélène of TheKnowledgeBusiness specialises in helping law firms to grow and improve profitability, by understanding and improving their knowledge systems through textbooks, training, mentoring and advice. She has a particular interest in the cultural and human issues in Knowledge Management and creating strong trusting organisations which support knowledge-sharing cultures able to share complex knowledge. Hélène is the author of the Law Society’s “Knowledge Management Handbook”, published in 2012 and “Practical Projects in Legal KM: A Year of Living Knowledgeably” published by Legal Monitor in 2015, and contributor to Ark’s “Measuring the ROI of Knowledge Management” and “Innovations in Legal KM”. 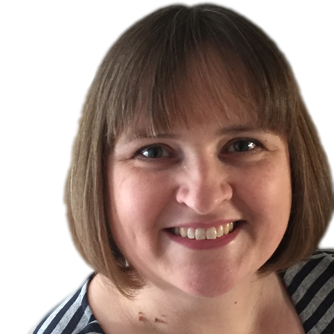 She is also founder of Knowledge Network UK, the regional knowledge-sharing and networking group for KM professionals in Bristol, Birmingham and Manchester. 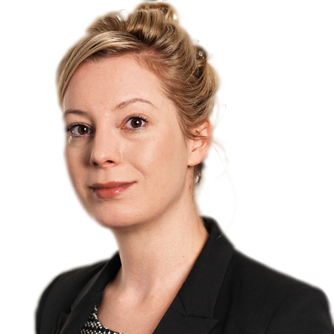 Hélène has spoken extensively on KM for Ark, Butterworths, UWE, Bristol Law Society, Allice, LIKE, KILPN and at Knowledge Network UK, and has written regularly for Legal Information Management and Managing Partner Magazine. 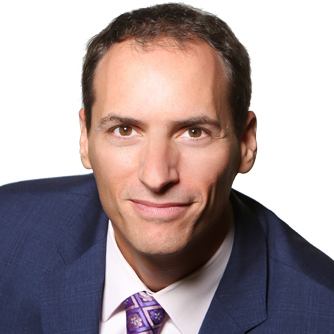 Ari Kaplan, an attorney and legal industry analyst, is an inaugural Fastcase 50 honoree, a fellow of the College of Law Practice Management, and a finalist for the International Legal Technology Association’s Thought Leader of the Year award. He is the author of Reinventing Professional Services: Building Your Business in the Digital Marketplace (Wiley, 2011) and The Opportunity Maker: Strategies for Inspiring Your Legal Career Through Creative Networking and Business Development (West Academic, 2nd Ed. 2016). 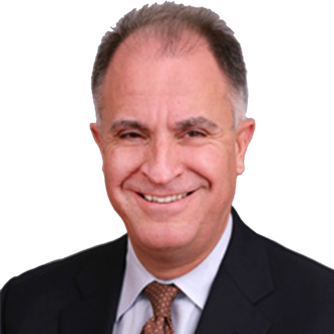 Kaplan serves as the principal researcher for a variety of widely distributed benchmarking reports, has been the keynote speaker for events worldwide, and is the founder of the Lawcountability® business development software platform and iPhone app. He is an avid swimmer and a two-time Ironman triathlon finisher. Ari will be the Lexpo'18 Master of Ceremonies. Dr. Philipp Kadelbach, LL.M. (Cape Town) is founder and managing director of Flightright, the European market-leader for passenger rights. He founded the company in 2010. He is, above all, responsible for new business, investor relations and the legal department. The company helps consumers to enforce their rights on the No Win - No Fee basis. Since its establishment, Flightright has enforced more than 125 million euros for its customers. Philipp studied law at the Free University of Berlin. His theses for his international masters of law degree (University of Cape Town) as well as his PhD (FU Berlin, 2000), focussed on consumer protection law. Philipp was born in 1974 and specializes in passenger rights and IT law, both as managing director of Flightright and as partner in the IT solicitors firm Höch Kadelbach Rechtsanwälte. Leading business magazine WirtschaftsWoche refers to him as "one of Europa's Legal Tech Pioneers". Joanne is one of Australia’s most respected strategic legal advisors and is a recognised international thought leader in legal services delivery and disruptive legal service models. 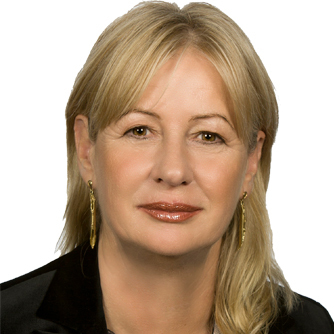 During her career, which continues to span over 30 years (including as partner in charge of the Canberra office of a national law firm), Joanne has successfully advised some of Australia’s most complex and high profile clients and has managed some of Australia’s most complex litigation. Applying insights from this experience, in 2007 Joanne founded Allygroup, Australia’s leading legal management consulting firm. For the past ten years, Allygroup has advised some of Australia’s largest corporations and Federal and State Government departments on how to optimise value from their legal spend. Joanne is regularly invited to speak at legal conferences on innovation in legal service delivery and effective legal project management. As a UK financial technology specialist, Oliver was used to wearing pin-striped suits and talking about money with the world’s largest companies. These days, as Founder and CEO of the Swedish/UK Blockchain company Chainvine, he mostly talks about provenance and digitising the source. This usually includes the legal certification process, intelligent contracts and supply chain logistics (including IoT & financing and trading), usually all banking related operations, key factors in trade finance. 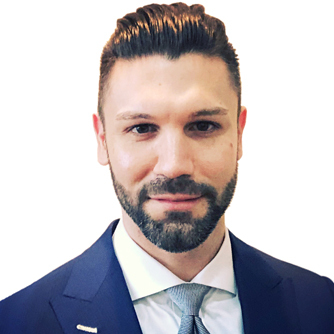 Oliver has acted as advisor to established companies in different sectors on how best to adopt/use crypto-currencies and helped a number of central banks by providing thought leadership in the Blockchain/Distributed Ledger Technology and Crypto-Currencies. Ben is co-head of Slaughter and May's Fintech Group and a financial services regulatory lawyer. He has a broad range of fintech clients spanning major financial, telecom and tech groups through to challengers and start-ups, and including Euroclear, Standard Chartered, Stripe, Vodafone, Tide, WorldRemit and VocaLink. Ben founded the firm’s Fintech Fast Forward incubator programme and mentors a number of the businesses in that programme. Ben recently co-authored a white paper with ASI Data Science on the responsible deployment of AI in business and is a contributing editor of ‘The International Comparative Legal Guide to: Fintech 2017’, a practical cross-border insight into fintech law across 34 jurisdictions. He is listed as a leading individual in the fintech section of the Legal 500 rankings. 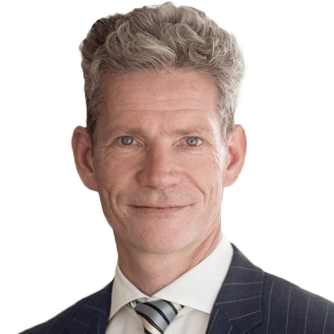 Piet Hein Meeter is the Global Managing Partner for Deloitte Legal. His ambition is to make our colleagues and clients experience the future of law, today! For this purpose, the ambition is to build a law firm with a truly global footprint, while integrating process and technology as part of the delivery model. ‘Facing heightened regulatory scrutiny, increasing workloads, accelerating technological advancements, and growing demands from within the business, legal departments are rethinking their operating models and the use of technology to achieve greater efficiencies and increase the value that they deliver back to the business. Deloitte Legal combine deep legal skill sets with technology solutions and multidisciplinary advisory services around the globe’. Prior to his global role, Piet Hein served as the Country Tax Leader for The Netherlands and member of the Dutch Executive Board. Piet Hein aims to make an impact that matters by forming true partnerships through relationships with clients and society. Deloitte Legal comprises over 2,000 legal professionals in 80 countries. Eric is a partner in DLA Piper’s Litigation Group. 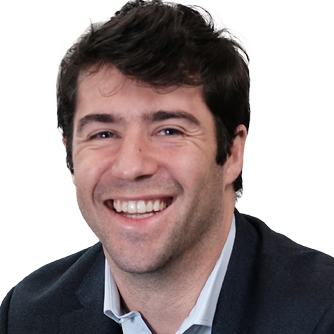 As Chair of the firm’s Litigation Innovation Committee, and Vice Chair of the Innovation Review Board, Eric is responsible for evaluating and implementing innovative products, processes and solutions that are fundamentally transforming the way in which law is practiced. 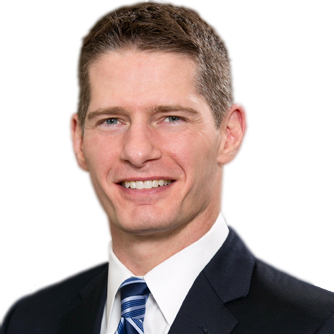 In his practice, Eric specializes in the assessment, quantification and sale of litigation risk through predictive modeling and litigation analytics, with a particular emphasis on the utilization of such services to provide industry leading manufacturers, sellers and distributors with strategic advice on how to avoid and manage risk throughout the world. 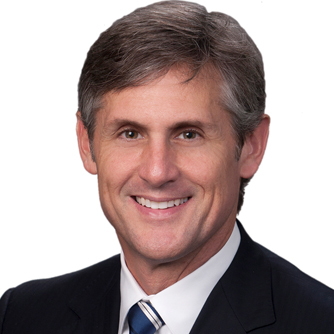 He has represented nearly every class of manufacturer in both the litigation and transactional arenas, and has built a reputation for helping clients avoid, mitigate and manage pending and potential litigation risks through predictive analytics, due diligence, deal structuring, pre-marketing risk assessment, and the development of strategic solutions to acquired risks. Nicky is an innovation professional with almost 10 years of experience in advising on innovation and service design in the legal sector. Her field of action is hard to label: she works at the intersection of marketing, business development, IT and knowledge management. Currently, Nicky works as an innovation manager at NautaDutilh, one of the largest international law firms in the Benelux region. At NautaDutilh, she advises the board on how they can stay competitive through service delivery and customer experience. Her mission is to help create a client-centric culture and to design world-class services through smart use of data, smart collaboration and effortless experiences. Prior to NautaDutilh, Nicky worked on a revolutionary online dispute resolution platform for citizens, alongside with leading experts from Tilburg University, HiiL and Sillicon Valley-based Modria. The platform was one of the first DIY platforms with self-learning capabilities, supporting people throughout their justice journey. 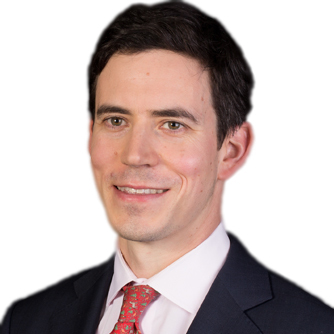 Nick is a Managing Associate in Mishcon de Reya's Real Estate department. 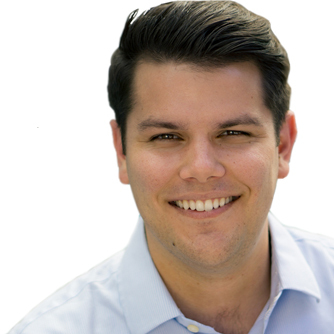 He specialises in commercial real estate work and is the Real Estate Tech Specialist. This year he was named in the 'disruptors' category of The Lawyer Hot 100 list, hailing those on the front line of legal tech. Nick runs the Real Estate category in MDR LAB, the firm's incubator programme for tech start-ups in the legal space, which is co-sponsored by Derwent London, the largest London-focused real estate investment trust, and Coyote, a cloud-based property software platform. Nick mentors the companies taking part in MDR LAB and has built technology products which help the department automate various tasks involved in transactions. This includes Solaris, an in-house application which pulls data from the Land Registry, and Mishcon Maps, which visualises key internal and client data on a map, both of which launched in 2017. Nick is also working with a number of clients to facilitate the automatic exchange of lease data. In addition, Nick mentors PropTech start-ups at Pi Labs, a company investing in early stage ventures in the property tech vertical. 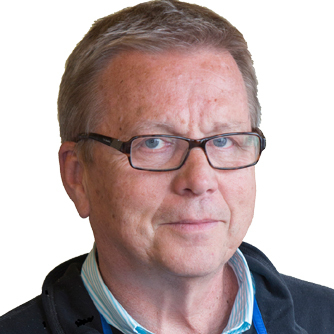 Knut-Magnar Aanestad is Head of Innovation at Kluge Advokatfirma. Management positions in three leading law firms has made him an undisputed thought leader within legal innovation in Norway and internationally reknown as a highly respected expert. His business contribution at Law Firm Schjødt, in a period with remarkable financial results, led to international awards: the 2013 Deltek Innovation Award and EntrepreneurLawyer's "2013 Top 10 Smokin' Hot Lawyers &/or Entrepreneurs! ", amongst others. After years of success in legal business development, Knut-Magnar joined Kluge Law Firm and leads their development, transforming client approach through technology and activities. Under his management Kluge has developed a new digital services concept, "OMNIA", that has fundamentally transformed central areas of Kluge's service delivery. Hans is passionate about delivering innovative legal services using the latest IT systems and tools. 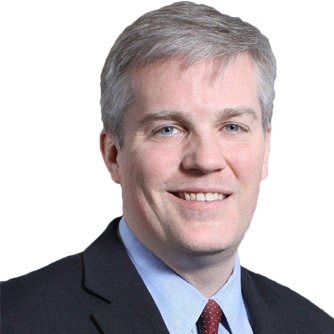 Currently he is Chief of Staff to Juniper's General Counsel and heads up the Global Legal Operations function. As such he is responsible for the Legal Departments strategic plan and budget, overall systems and tools, outside counsel spend management, knowledge management and all other operations with the Legal function. 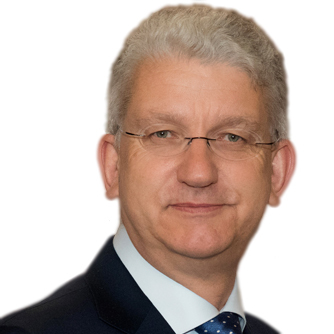 Hans joined Juniper in August 2011 from Cisco Systems, Inc. where his last role was Operations Director for Emerging Markets and prior to that he served as Legal Director for EMEA from 2000 until 2006 and Legal Director for the US and Canada from 2006 until 2008. Hans is a member of the Dutch in-house lawyers Association. He also serves as a Board Member for the European Chapter of the Association of Corporate Counsel (ACC) and is also a member of the Corporate Legal Operations Consortium (CLOC).